In the spring, you will find many beautiful blooming trees, shrubs and flowers. However, along with these come the bugs. Insects, such as grasshoppers, lay their eggs in late summer or early fall. And if they survive the winter, they will begin hatching in mid to late spring of the following year. One female grasshopper can lay up to 40 eggs. So, what does this mean for you? Hundreds of hungry, tiny grasshopper nymphs in your yard that will eventually turn into adult-sized grasshoppers over the course of the next several months. How Do Grasshoppers Impact Your Yard? Grasshoppers will feed on just about anything, flowers, grass, fruits, vegetables, and even weeds. And they are transitory. So, they will move from location to location in search of foods that they like. This can be a source of frustration because you may get rid of one group of grasshoppers, then another comes along. They make holes in plant tissues and leaves, and leave behind droppings on plants. 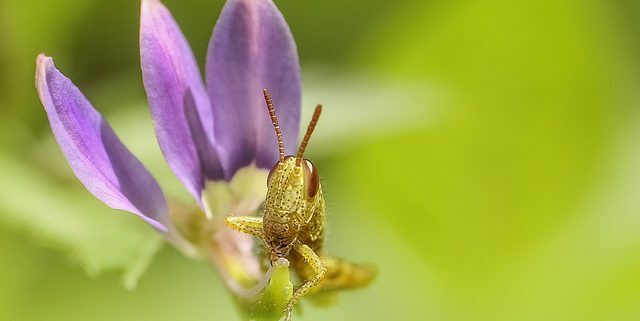 Grasshoppers prefer to feed on flowers and garden vegetables, however, if the population is high, they will also feed on shrubs trees, and grass. Large trees generally recover from this defoliation; however, grasshoppers can have a detrimental impact on small trees and shrubs. It is best to treat a grasshopper infestation in its early stages (when they are less than one-inch long) because they tend to stay concentrated in the areas where they hatched. During this time, it is possible to wipe out more of them. Some common hatching areas include ditches and tall, grassy or weedy areas along the perimeter of the landscape. As summer nears and grasshoppers continue to grow, they will disperse. While it is still possible to treat them, the more mature the get, the more difficult treatment is. 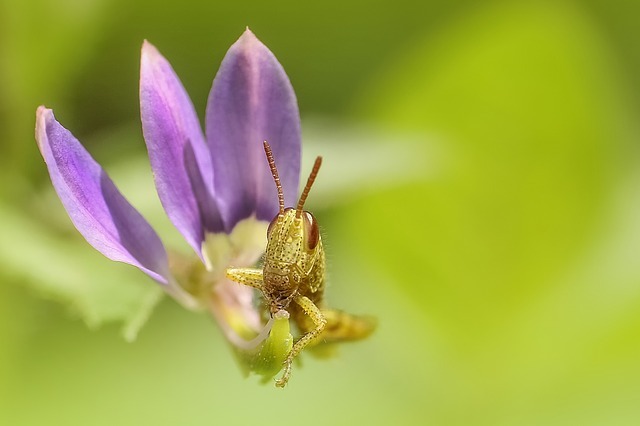 At Shorb Landscaping, our team of expert landscapers can help you manage grasshoppers and other unwanted lawn and garden pests. Give us a call at 301-897-3503.